Make-up artist Kevyn Aucoin's faces appear in editorial features, fashion shows, music videos and advertising campaigns as well as on the covers of virtually every major magazine. In this follow up to the highly successful MAKING FACES, he once again astonishes with his incredible transformations of famous and ordinary people and demonstrates how anyone can have a variety of different 'faces'. Working with a whole new cast of famous faces, he turns Celine Dion, Julianne Moore, Sharon Stone, Susan Sarandon, Jennifer Lopez and many others into their most beautiful, glamorous, and intriguing selves. He applies his make-up magic to non-celebrities, and for each of them comes up with two or three new looks. For each and every face, both famous and not, he provides step-by-step instructions and illustrations. 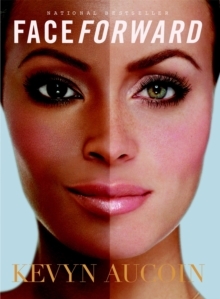 With this gorgeous and practical book, anyone can 'face forward' with confidence and style.